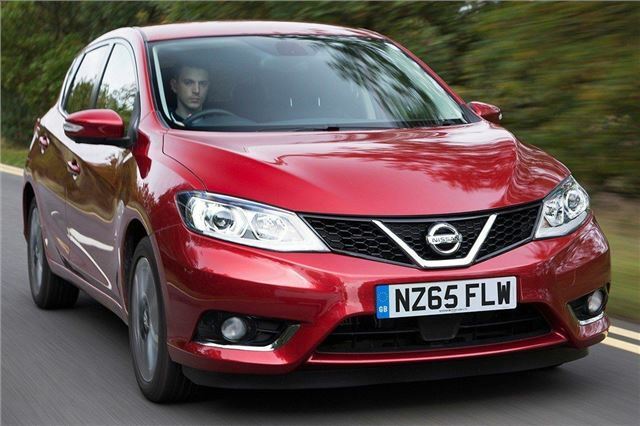 Just a few years ago most manufacturers would make a major song and dance about a hatchback with close to 200PS – but if nobody told you the Nissan Pulsar DIG-T produced that much power you’d never guess. Aside from a few small, subtle embellishments like ‘sport’ headlights and unique alloy wheel designs, the DIG-T is just like any other run-of-the-mill Pulsar. It feels like one too. 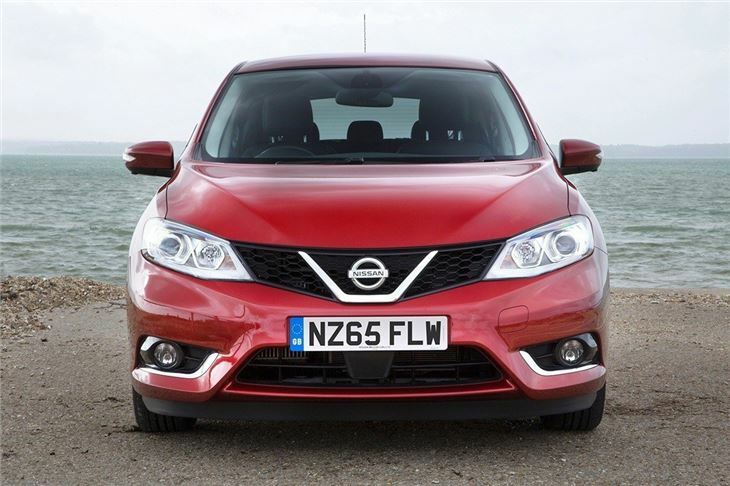 The 1.6-litre turbocharged engine produces 190PS and 240Nm of torque, giving a swift – rather than outright fast – 0-62mph time of 7.7 seconds. In practice it doesn’t even feel as quick as that, since it’s fairly slow to rev. It doesn’t sound particularly good either, with an unpleasant but thankfully fairly subdued engine note. When equipped with the DIG-T engine the Pulsar gets revised suspension in an effort to sharpen up the handling, but it is still far from the most agile car around. The steering isn’t as precise or as nicely weighted as a Ford Focus or SEAT Leon. And while body control is reasonably good, the Pulsar still rolls more than the competition through high speed corners. On the plus side it is fairly comfortable over broken surfaces and potholes, plus it’s a very impressive motorway cruiser. Little wind or road noise enters the cabin and at 70mph the engine is hushed, with plenty of torque in reserve. Furthermore there are some useful assistance systems for long distance drivers on higher trim models, including a blind spot warning system. 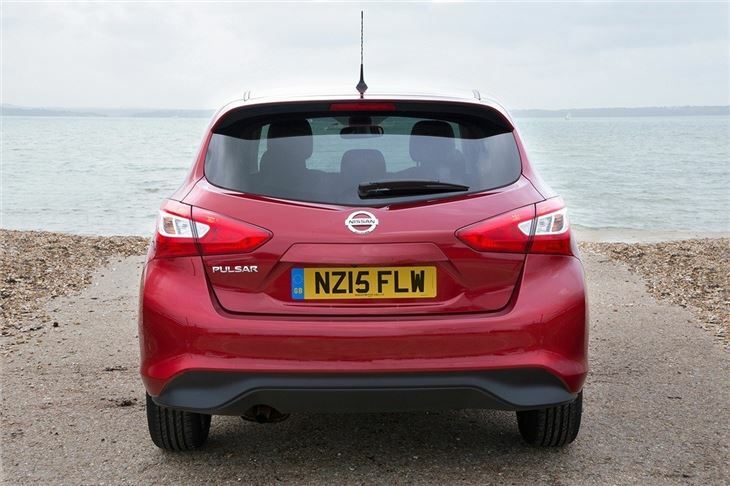 While the Pulsar DIG-T might not be the most exciting car to drive, it does have plenty of plus points in other areas. 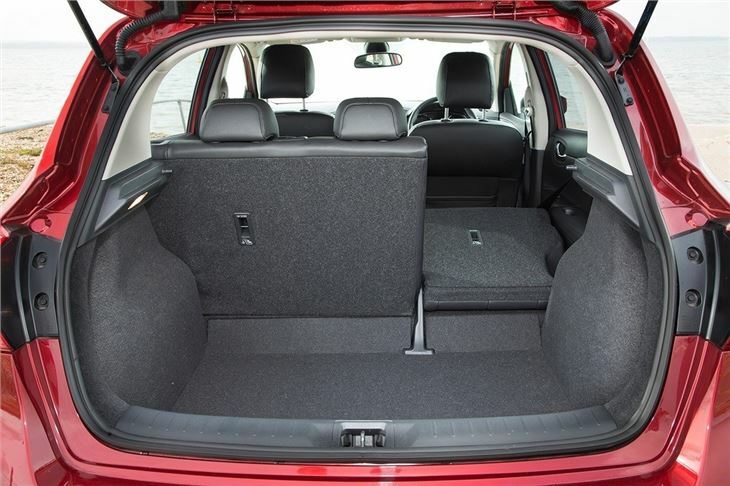 The back row of seats is very spacious indeed, with excellent leg and headroom that puts larger cars to shame, even for taller passengers. 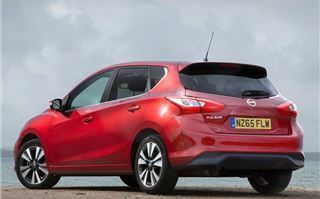 For families with growing children or teenagers it’s ideal, plus there is a sizeable boot. 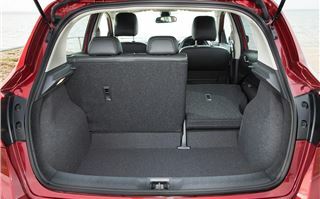 With the rear seats in place there is 385 litres of load space and the hatch opening is wide, but there is quite a high load lip. 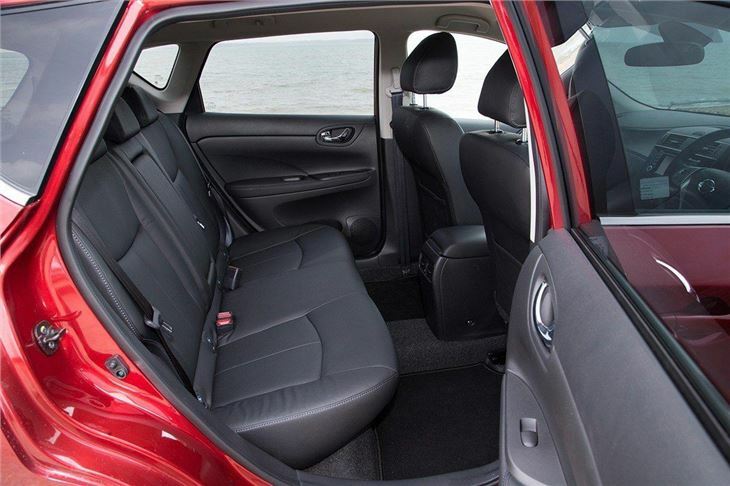 The seats fold down flat, giving ample space for bulky items, but the levers are quite far forward in the boot and so can be hard to reach. 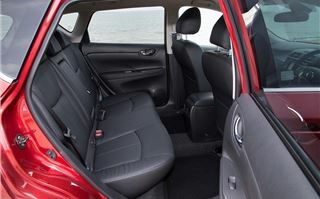 Maximum volume with the seats down is 1395 litres. Up front the cabin is drab compared to rivals like the Volkswagen Golf or Peugeot 308, with an uninspiring, albeit simple layout. On the plus side the plastics feel durable and hardwearing, plus there is a good level of equipment. All DIG-T models come with a touchscreen system which includes Bluetooth, plus there is a cruise control, dual-zone climate control, keyless start plus auto lights and auto wipers. 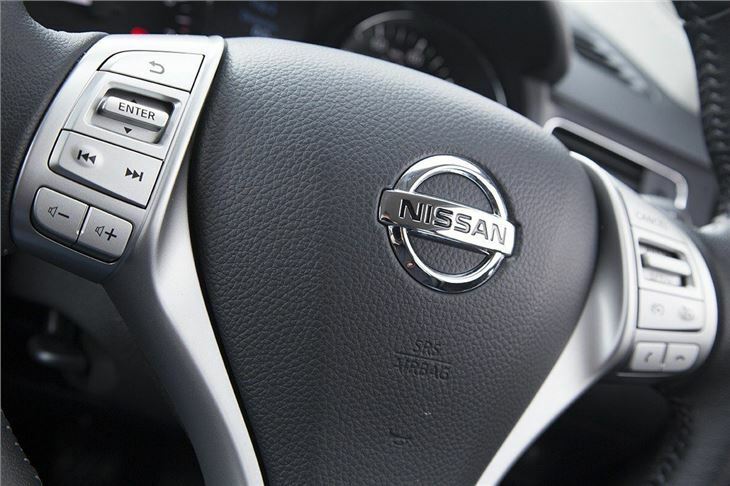 N-Tec trim gains a larger, 5.8-inch touchscreen with navigation, a reversing camera and DAB radio. It’s a responsive, simple-to-use system that makes sense right from the get-go, unlike many in-car entertainment systems. Pairing a phone, streaming music or inputting a destination into the navigation system is very easy without looking at the manual. Moving up to the top Tekna model adds leather upholstery, heated front seats, lane departure warning, blind spot assist and an excellent 360 degree camera that simulates a bird’s-eye view. It’s very useful in tight parking spaces or multi-storey car parks, since it shows obstacles all around the car, including in areas that would otherwise be blind. 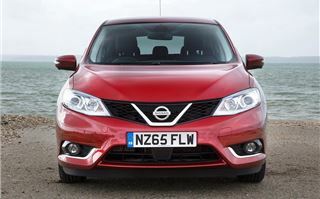 The problem is that all of the useful equipment offered in those trim levels is available with the less powerful 115PS 1.2-litre petrol and 110PS 1.6-litre diesel engines – both of which are better-suited to the Pulsar. The 115PS engine is cheaper to buy, cheaper to run and, on the road, more or less just as capable. The 110PS diesel costs slightly more than the 190PS DIG-T petrol, but it is cheaper to tax and more efficient. Sure enough, the 190PS DIG-T has better performance when pushed hard, but the rest of the time it offers no real advantage. It does gain a few cosmetic extras over other engines, including white interior upholstery stitching, sportier alloy wheel designs, a chrome exhaust finisher and some subtle carbon-fibre effect exterior details. 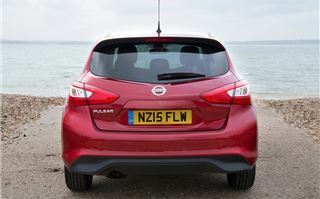 But despite those extra features it is a difficult car to recommend. It’s not fun or focused enough to compete with cars like the 150PS SEAT Leon 1.4 TSI and its economy of 49.5mpg (or 47.9mpg if you go for 18-inch wheels) isn't exactly impressive. 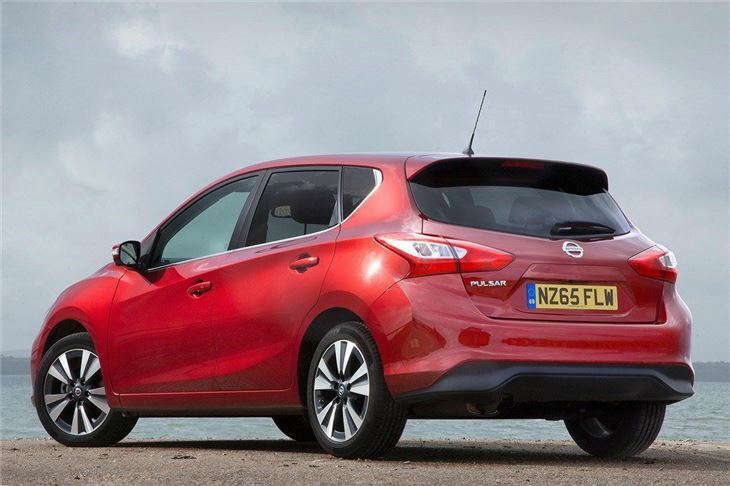 If we were buying a Pulsar, we’d save some money and opt for the 1.2-litre petrol instead.